Marc Ecko fragrance and perfume list. Marc Ecko fragrances: Marc Ecko is an America fashion designer. His debut fragrance, Ecko by Marc Ecko was launched in 2009. 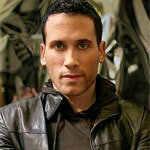 Marc Ecko Enterprises was founded in 1993 by Marc Ecko, Seth Gerszberg, and Marci Tapper. Evolving from just six t-shirts and a can of spray paint, Marc Ecko Enterprises has become a full-scale global fashion and lifestyle company. Current Marc Ecko Enterprise brands include: ecko unltd., Marc Ecko Cut & Sew, eckored, Complex Media Network, Marc Ecko Entertainment, eckoTV, and ShopEcko.com.